UCI points are not the greatest talking point. But points are the currency of pro cycling and influence the sport, from the racing to the promotion and relegation of teams. Changes are coming to the system that will affect riders, teams and the racing alike. It looks like good news for some but worrying for others like Euskaltel or Vacansoleil-DCM. Let’s see what’s planned and how this might change things. First remember the UCI uses a secret internal system to rank teams by their points although . This is called sporting value and sometimes known as team value. The arithmetic is given to the teams but many riders don’t know how it works giving rise to calls that the points system is distorting racing when this might actually be unfair; although if riders think they have to have points then they will race accordingly. Currently the UCI works out a team’s ranking based on the points of its best 12 riders. It used to be 15 but when the numbers were done last October it was dropped to 12. And now the rule change will go to 10 riders. This means a team of 30 riders can employ 20 riders without a single point between them. Moving from 15 to 10 over two years diminishes the value of holding just a few points a rider with one point will probably find this is meaningless compared to the team’s top-10 best riders. It will have the effect of making riders with a lot of points even more valuable, a team can’t rely on grabbing points here and there with 20 riders but instead has to ensure its leaders get them. Right now teams are ranked at the end of the season on the basis of their prospective team for the following year. For example at the end of 2012 Astana’s ranking included the points of Vincenzo Nibali even though he’d yet to formally join the Kazakh team. This is unlike other sports for example a soccer league table where teams are ranked on the basis of their wins during the prior season. But this is set to change according to the UCI. Now 20% of a riders points will remain with their team should they leave. The idea is that a rider’s points haul is a function of the team. It takes coaches, masseurs, riders, mechanics, managers and more to win a big race so the team will keep some of the points from a big win if a successful rider moves to another team. The Spanish website said teams wanted a figure higher than 20% but the UCI rejected this because to reward the teams more would be to diminish the individual’s earning power, a reasonable point. With the points system skewed towards high overall places in stage races, especially the grand tours, some teams might have to change strategy. For example Vacansoleil-DCM is famous for the attacking riders but they’ll need to harness some of that energy to guide Lieuwe Westra, Thomas De Gendt and hopefully Wout Poels to high overall positions rather than sending everyone on wild attacks with the hope of a big pay-off. The same is true for Euskaltel who could really struggle here. 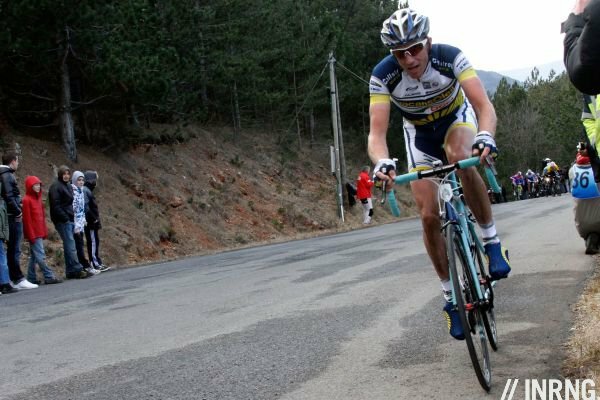 They’ve hired a few riders for their points but the talent is spread across the team with only a few riders capable of scoring muchísimos puntos. Even Katusha has reasons to be nervous because Rodriguez counted for more than 50% of their points. If he crashes or falls ill then the whole team’s points are diminished. Meanwhile the big teams like Sky and BMC have nothing to worry about. I’d welcome all these changes. The move to only counting the 10 best riders means any valuable domestique or gregario who toils for their leader should never have to worry about earning points. In fact their service should only help their leader to win more, thus supporting their supportive efforts. Leaving a share of points with your old team is also another interesting idea that’s worth a try. Actually what is needed is a regression scenario where the UCI and Pro Teams have gone back over the last five years and calculated the impact of these changes. Because what sounds intuitively fine on paper can be different when the numbers are crunched for real. Talking of numbers all these changes only make the system more complicated and impenetrable for fans. If riders struggle to grasp the system, new things like 20% carry-overs are going to make spreadsheets and calculators as essential as a wheel and a saddle for riders, or at least for team owners and agents. Ideally all of these rankings should be open. It’s bizarre that the UCI’s ranking system is kept hidden from fans (full details here) but instead of just publishing the rules it would be great to see the UCI show live rankings so that promotion and relegation from the World Tour become part of the story, something that can only enhance the value of the UCI’s prime calendar. Few understood the rules in the first place so these proposed changes aren’t obvious either. If so these plans should support both the riders and teams that work together to achieve things. It’s not like the days of old with one leader and a devoted team of helpers, after all today’s World Tour means having to compete in many races and often simultaneously so a team has to have several captains. The proposals sound right but I hope they’ve been tested to reduce the chance of unexpected outcomes. Ultimately though these changes only make the system yet more complicated. If the system can’t be explained in three sentences then don’t expect TV commentators to explain it to viewers like they might explain what an echelon is or another of cycling’s sophistications. Besides the changes mentioned in the article, the Eneco Tour and the Tour of Poland will be ridden by just 6 coureurs (instead of 8). Also, WT points can be won at the intermediate sprints. I think it is worth to try. 6 coureurs mean less control, which should lead to a more attractive race. Yes, good move! But I am not sure this will be successfull, as they do not allow more teams. They argue that more teams would make the race more dangerous. The best solution would be to find a balance by reducing the number of riders to 6 (previously 9 in Grand tours) and, at the same time, increasing the number of teams (usually around 20, so around 180 riders in a GT). If the number of riders is reduced by 60 (20×3), one could add three more teams (=18 riders) and still have much less riders (138 instead of 180). With more teams, the racing will be more nervous. I do not think that the reduction from 180 riders to 120 will affect the accident rate (the main argument). The more teams, the likelier it is that teams threatened by an attack outnumber teams take part in it. In fact, with more teams, it would be easier for the peloton to generate defensive coalitions and no easier to form offensive coalitions. If 6 different teams (a considerable number already) are involved in a break, do you still want another 17 teams around, willing or available to participate in the chase? Besides, the size of the field does affect risks and accident rates. In a 200-strong peloton, the typical “crash in the middle” of it can affect, and put at risk, the 90 guys riding behind the crash. In a 100-strong bunch, the risk affects, well, half that number. Finally, the more riders, and especially the more teams, the more expensive and logistically complicated it becomes to organise a race. And also the more difficult it becomes to visit far away, isolated areas, and very importantly, to use narrow, bad roads (bad for cars but great for cycling spectators). Not so sure: If you increase the degree of freedom (=variables) in any mathematical model, it becomes less good in predictingthe outcome. The same applies to a race. Not every team will want a bunch sprint, therefore not chasing an attack. Look at the Junior and U23 races. 6 athletes, more teams. The argument of logistics does not count: Less riders=less staff and less team cars. Good analysis: these measures look good on paper, but their consequences may be unpredictable. I believe (and hope) they will change things for the better. One little ammend: in the Tactical changes paragraph you should say “muchísimos puntos” instead of “muchísimo puntas”. A matter of gender and number. “With the points system skewed towards high overall places in stage races, especially the grand tours, some teams might have to change strategy.” – Will this mean less attacking riding. Perhaps too soon to tell, but that seems like an unfortunate incentive. “In fact their service should only help their leader to win more, thus supporting their supportive efforts..” – If this means greater recognition of the ‘team’ aspect of cycling then definitely a good thing. “The proposals sound right but I hope they’ve been tested to reduce the chance of unexpected outcomes.” – One can only hope! 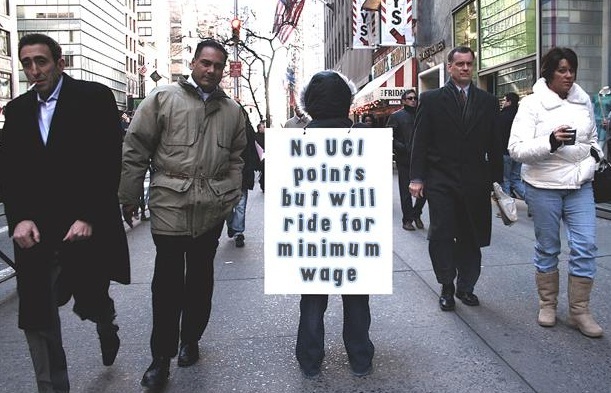 Overall, the impenetrability is a concern, symptomatic of the hierarchy of power that puts the UCI squarely at the top. It doesn’t address the long-term viability of teams, either, and the necessity of giving sponsors some certainty for multi-year investments. Is this just tinkering at best? Looks like some welcoming changes. Wonders if some of the guys at UCI actually read this blog as well. Let’s make this really easy for everyone. Publish the points available for every race/stage, whether its finish position or prime points (KOM, sprints, jerseys, whatever), before the race. All points earned are earned by and for the team and stay with the team. Every point earned by ANY rider on a team counts towards the point standings. Publish the points standings of each team after every race/stage. A separate competition for the individual rider with the most points earned for the season could also be held but ALL points earned in a race/stage are the property of the team. Neither of these schemes should have any effect on the value and marketability of any rider. If the owners and managers of the teams can’t figure out who the most valuable riders are then perhaps they belong in a different sport/job. +1 . I deplore the points system. But if there must be one, it should be the one you describe. Agreed, that’s the only sensible way of doing it. Look at Football and (pretty much?) every other team sports (league), that’s how it works. The standings tables for all of those sports/leagues are public, and endlessly discussed by the pundits. Athletes in team sports are not traded for the score they carry, but for what they can do in the next season. Wage is per year? Does this change in lower or higher categories? Yes, the figures quoted are for the World Tour, it is lower for Pro Continental. Sadly they get a minimal wage rather than a minimum wage. It’s being looked into though. These aren’t proposals, but the changes are already adopted for 2014 “[w]hile waiting for a reform of the system for 2015”. Correct. I started the piece above with information that the plans were coming but pending approval but it turns out these points changes will happen for sure. Unfortunately only few riders have work contracts, most of riders are self employed contractors to the team. So techically they own their own points, not their employer. does that make a difference though? I thought that was just to do with making things easier in terms of tax etc and has very little to do with UCI points? I don’t think it does. The contractor vs employee doesn’t change the fact that a rider is registered with a team for racing and by extension, points. I don’t think so either. Nobody ‘owns’ the points. They can’t be traded. Not sure if it’s been mentioned before. If the idea is to help the team leaders win more, and thus secure points, then we are doomed to see even lesser aggressive racing and even more mass bunch sprints, because that is what nearly all teams seem to aim for the last few years already. It makes for dead boring TV (or livestreams) and certainly does not help in getting outsiders excited about cycling. If mass bunch sprint are considered standard and the default outcome of races, then we should raise the question what the point is of 150km+ stages every day. But whatever the teams want, a good route can make a bunch sprint unlikely. How about this to reward domestiques? In every event, take the points won by a team’s best finisher and give some percentage of that, say ten or twenty percent, to every other member on the team in that race. How about 20% to those teammates that finish the race or stage, and 10% who started but DNF? That way riders could contribute their work to the leaders but not have to worry about scoring themselves in order to accrue some contract value from the result. As for ranking points accruing to teams, give each team two sets of points. One set would be a two year average of points for each rider that was on that team in 2012. The second set of points would be to give every team the 2012 points of each rider on its 2013 roster. This would allow the team under which a rider scored points to receive their value while allowing a team signing new riders a chance to benefit from their new hires. If a rider stays on the same team for 2013 as they were on in 2012, their team gets both sets of points. This would prevent a scenario such as with Gilbert going to BMC in 2012 where Lotto lost all credit for the points earned by Gilbert while riding for their team and benefitting from their team help and structure while BMC just bought his points and got the benefit. Each team would benefit from the rider and it would induce more equity in the team rankings, imho. How about a team based reward as this is clearly of major benefit to the individual rider. If a team has say 20 riders with points, they all get counted as the teams points instead of only the top 10….therefore, a team like Vaconsoleil or Euskatel, can send men up the road all day, different man every day and gain stage wins/points til the cows come home whilst securing their teams place in the WT….otherwise we lose them due to not having a singular team leader capable of winning prime races at the cost of others. Work that one into your spreadsheet for interest.